We've all seen them—those cheesy infomercials promoting a diet product or a new teeth whitening solution. Before and after photos are a marketing standby and have been for a very long time. The answer is simple: it's because they work. One of the biggest obstacles in convincing a customer to invest their hard-earned money in your product or service is earning their trust. There are several ways to help earn a customer's trust, including referrals, testimonials, endorsements and... before and afters. Presenting a visual of where a current client came from and where they are now provides potential customers with proof—not just that your product delivers results, but that it can deliver results for them. Before and afters can also be a great way to show existing customers the value you're bringing to their lives—after all, it's cheaper to keep an existing customer than to acquire a new one. Tony Shelton, the owner of Sonitx, Inc., an air filtration and coil cleaning service, understands that seeing is believing. He's used before and after photos in his business for a long time. Tony uses the photos to show existing customers the work he's done and the difference he's made for them. 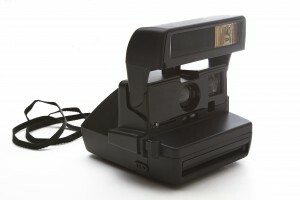 But as technology improved, and Polaroid cameras evolved into digital cameras, Tony ran into a problem: managing photos became time consuming. Email the right pictures to the right customers. ...Then Sonitx employees had to repeat this process up to 125 times—uploading, organizing, emailing, uploading, organizing, emailing—for larger commercial customers. The cure was worse than the disease. Whatever benefits this digital method offered were offset by the price it exacted from the Sonitx staff in terms of time and energy... and that's where Tony was when he discovered Device Magic. By using Device Magic’s easy-to-setup forms, Tony has automated most of the process, drastically reducing the amount of time it takes to make sure that his employees are accountable to his customers. Today Tony's employees can snap a before picture with their phone, finish their work, snap an after picture and simply add both images to a Device Magic form via the app on their phone. Device Magic does the rest, sending the right images to the right customers and storing the images together for future reference or use in marketing. For their part, customers love the instant and accurate assurances provided by time- and-geo stamped photographs. Tony loves the leverage that such Device Magic features give him—exact information about where and when cleaning services were performed—when it comes to settling customer accounts. With a little help from Device Magic, before and afters have turned into a hallmark of Sonitx's excellent customer service, clearly helping establish the value he provides his customers and letting everyone (including his staff) breathe a little easier.